An expert traveller blogs about locomotives, scenic railway journeys and photography. 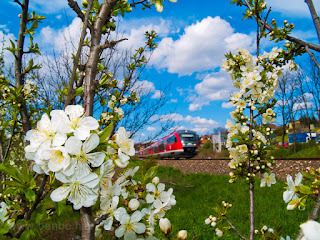 This may look like just an ordinary flower-framed photo, but it was taken on the Budapest - Esztergom railway in Hungary which has since been completely rebuilt, and therefore this photo location at the boundary of Budapest and Urom does not exist anymore. Spring is already high in Europe but I wanted a last reminder of the beauties of winter before moving on. I am always looking forward to winter, snow and the glorious high contrast photos you can take in winter and four years ago we had enormous luck when heavy snow, a mostly clear sky and great trains in Graubünden, Switzerland, on the network of the Rhätische Bahnen (Rhetian Railways, a local, metre-gauge network in the Alps). Visiting the RhB is always great but autumn and winter offer dramatic landscapes so a visit in those times is definitely recommended even though the days are short. 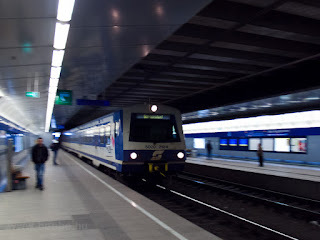 The Austrian Federal Railways (ÖBB) had electrified many railway lines at the very early days of mainline electrification choosing the then most-advanced low-frequency alternating current system with 15 kV, 16 (2/3) Hz AC voltage. The federal capital Wien was reached by electric trains in 1952 as the main area for electrification had been the mountain passes. In those years Austria was still under Allied occupation with the capital being inside the zone controlled by the Soviet Union but the city itself split up into four control zones very similarly to those of Berlin. But while Berlin and Germany gradually shifted into an Eastern and Western part Austria was jointly run by the four allies and in 1955 given independence. After that, the development of the city sped up and required the establishment of a commuter railway network which later incorporated various rail links inside the city and became the Vienna S-Bahn. The main vehicle on the S-Bahn became the ÖBB class 4030 electric multiple unit which had almost the same features as the subject of the present article, only being different in exterior design and the electric systems. The Semmeringbahn is the world's first mountain mainline and a highlight of the European railway network. The whole line was designed to harmonize with nature and as such can be considered the first attempt to show that rail transportation is the green way to go. The route through the 898 m high Semmering Scheiteltunnel is soon going to start serving only the tourists after the opening of the new Semmering Base Tunnel (SBT). 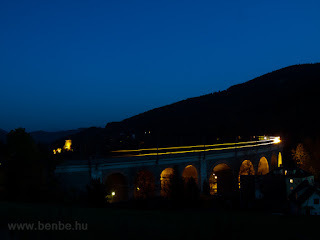 You should visit the Semmering Railway while it still has freight trains and railjet high-speed trains through the mountain pass. 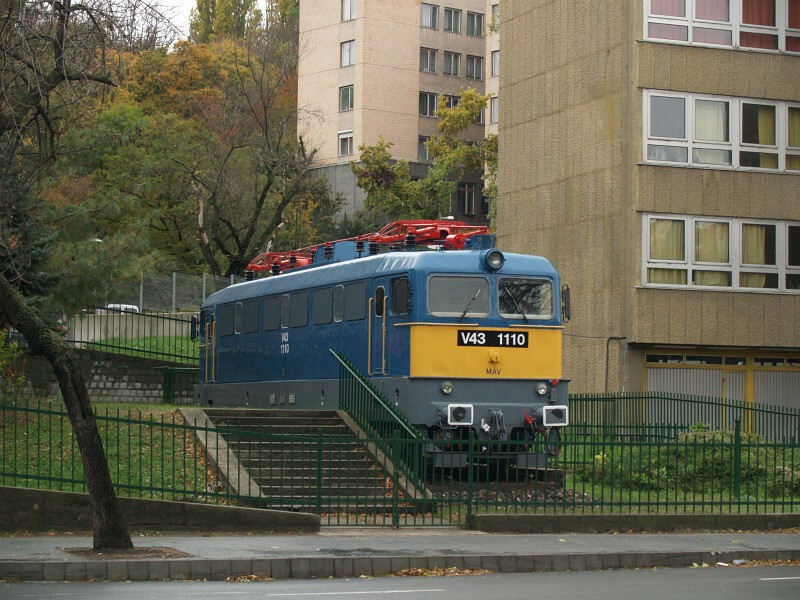 The V43 1110 is exhibited at the University of Óbuda, one of the most renowned districts of Budapest, Hungary and had replaced the V60,003 as a piece of exhibit by the University. The University has been named after Kálmán Kandó, developer of the 50 Hz railway electrification and the V60,003 on exhibit here had been one of the original Ganz-Kandó locomotives developed for the system. 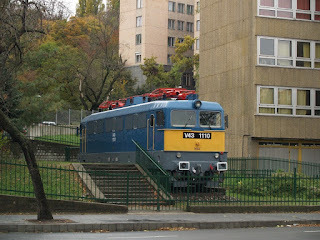 The locomotive has been moved to the Füsti - Hungarian Railway History Park and a more common class V43 locomotive has been brought in as a replacement. To date, this is the only V43 locomotive not only as an exhibit but anyway as all other surviving instances had been renumbered class 430, 431, 432 or 433. After my first post on this blog, which was about the M32 locomotive class of MÁV I would like to show you an example of the other kind of post which is going to be dominant in the contents here: a description of a railway line. 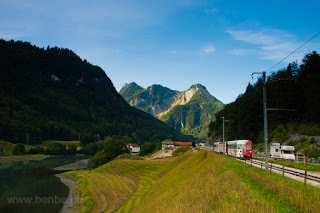 As the interests of railfans can be really different I am going to offer a great variety of topics and in contrast to the less-known lowlands locomotive in the previous post here you will be able to read about a railway in the Swiss Alps, and about a region that you have almost certainly already heard about. 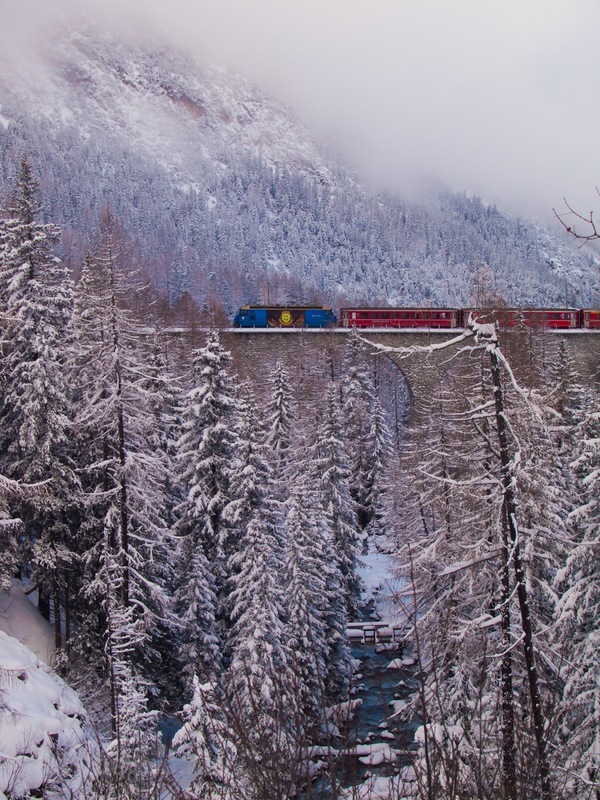 Switzerland is known not only for its stunning landscapes but for the many different standard-gauge and narrow-gauge private railways that let you get to some tiny villages by train. The train which has affectionately been called "La Gruyère" is a metre-gauge railway operating mostly in the canton of Fribourg and is part of the company Transport publics Fribourgeois that also operates local bus lines and two standard-gauge railways, one between Bulle and Romon and another one from Fribourg to Ins via Morat. As it is normal in Switzerland, the route of the Gruyère is fully refurbished, allows for comparably high speeds and is used by many locals as well as tourists visiting the region. Picture of the Week is going to be another regular form of post on this blog and I am going to start it with the best photo my website had based on its quality and the decision of the users. The MÁV-START 478 320 was seen between Acsa-Erdőkürt and Püspökhatvan in the Nógrád region of Hungary during a warm summer day hauling a gravel train after a track reconstruction. For the photo I received information from some local engineers for which I am extremely grateful. I've been photographing trains for over ten years. I travelled around many countries of the continent and I'm fascinated by the diversity of locomotives that are used around the world. I run my own railway photography website, a youtube channel and a blog in Hungarian, all about trains. Copyright Takács Bence (http://www.benbe.hu). Travel theme. Powered by Blogger.